buongiorno a tutti, sapete se il cavo di segnale wireworld luna 7 ha la calza? "Composilex 2 isn’t a single material. It is the technology of blending optimal materials for specific applications within the Series 7 cable designs. 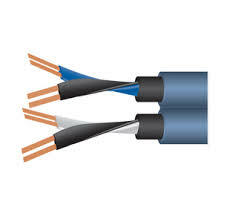 Up to three different blends are used within the each cable to minimize both triboelectric noise and dielectric absorption. We do not divulge the specific ingredients contained in any of the Composilex 2 compounds." "I’ve used Teflon in many of my cable designs since the early 80’s, however I eventually learned that the triboelectric noise spectrum it created was only different and not lower than other common insulation materials. Consequently, Teflon is not a primary ingredient in Composilex 2, but small amounts have been incorporated where it was helpful. David Salz"
Grazie scontin ma nonostante la traduzione fatta con Google, il concetto ancora non mi è chiaro. Ora invece è tutto chiaro.